These are some favorites among many women, and are super versatile no matter what your Valentine’s Personality. These gifts are some of my favorites and make great gifts that will treat her not just on V-day, but throughout the whole year as well! Read on for my top 4 Outside of the Box Valentine’s Day Gifts! 1. 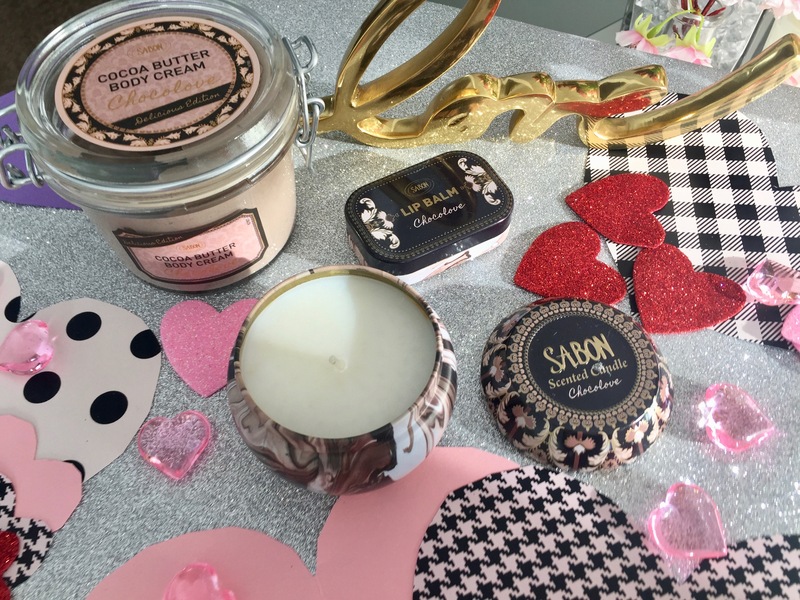 Sabon – The Chocolate Collection for Valentines Day. – Chocolate Scented Candle, Cocoa Butter Body Cream, and Chocolate Lip Balm. Ok I did sneak in some chocolate here, but only because you can’t go wrong with it when it comes to women and Valentine’s Day. The chocolate scent of these fun beauty products are sure to bring a big smile to her face. The candle makes a great idea for an at-home date night dinner, as the yummy chocolate scent delights all the senses! Right now, you can get it at 15% off too! 2. Alex and Ani – The Design for Charity Piece of Jewelry. The Living Water Charm Bangle is Beautiful and something she will love to wear year round. I love that it’s not your standard piece of fine jewelry and diamond we so often see on Valentine’s Day. If your Valentine is into philanthropy or has a big heart for a good cause, she will love knowing that 20% of the profits on the sale of this bracelet will be donated to Living Water International, (with a minimum donation of $25,000) – a non-profit organization devoted to demonstrating divine love by providing communities desperately needed safe water. The bracelet is also good for the earth, if she happens to be conscious of the earth and her footprint on it! The elegant bracelet is handmade in Rhode Island, made of recycled materials, is nickel-free, and comes in a beautiful gold or silver finish. One size fits all! 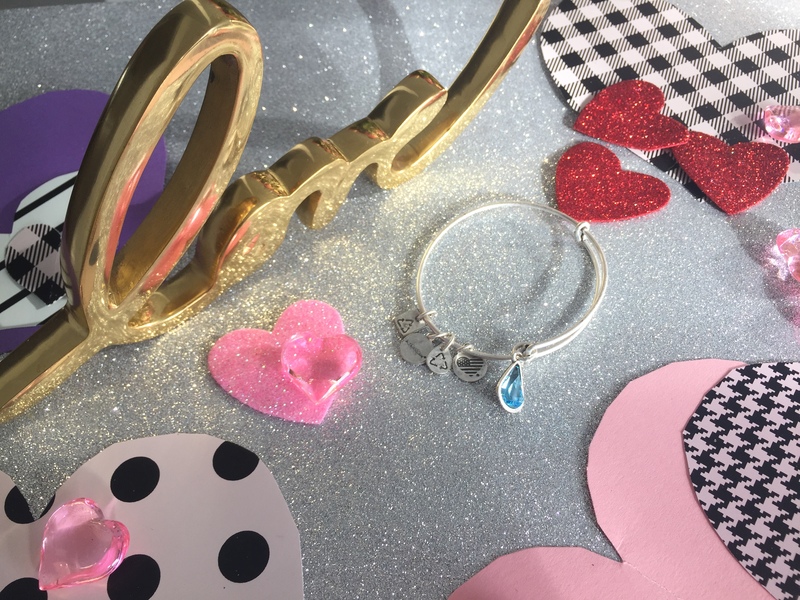 They also have cute heart and Valentine’s day specific bangles too if you’d rather go the traditional amount or got a real romantic Valentine on your hands! *Alex and Ani create meaningful, eco-conscious jewelry and accessories made to empower and connect humanity. SpaRitual is widely known for their lovely nail polishes that hold strong and come in a huge variety of beautiful colors! But they also make an amazing line of body care too, including a fabulous cruelty-free vegan line! I’m personally loving the passionfruit agave body soufflé and nourishing oil for hair and body! These products are incredibly hydrating and leave skin feeling amazingly soft and smooth too! 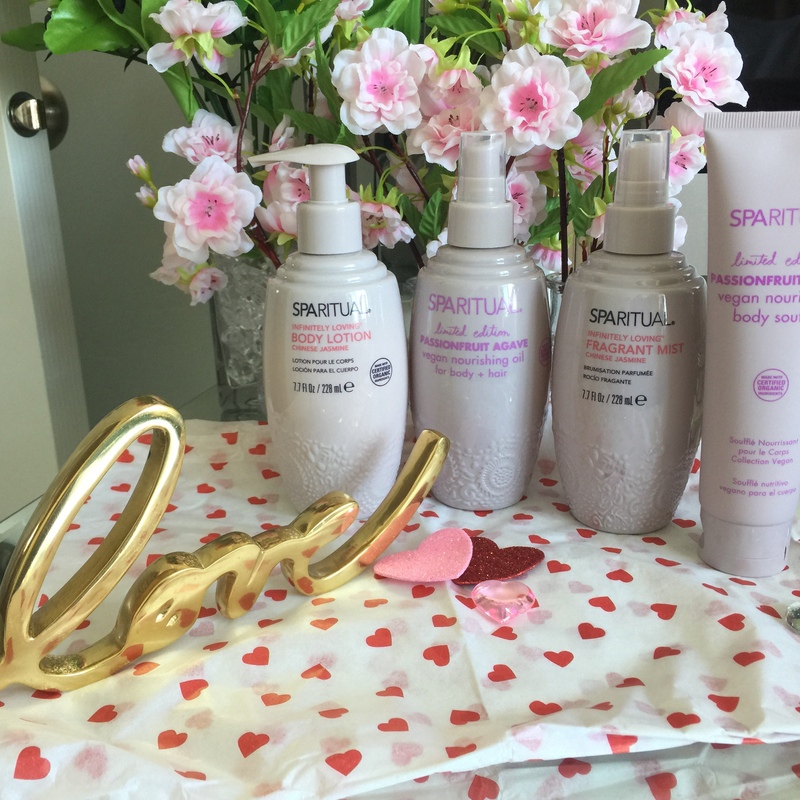 These products are fabulous for your Valentine to get in some self-love with an at-home pampering spa treatment! 4. 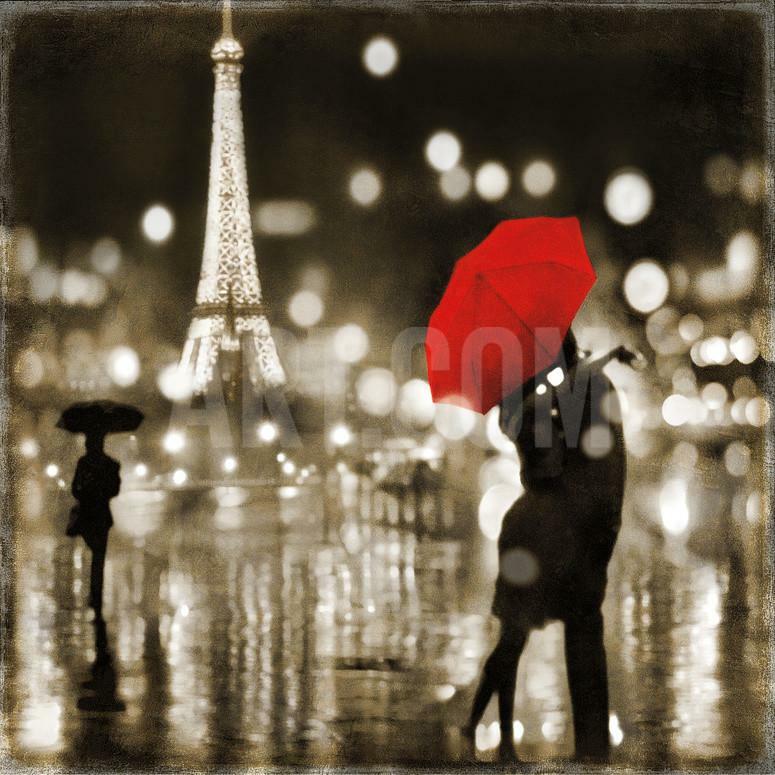 Beautiful Romance Art from Art.com for the Art Lover or Woman who loves beautiful Home Decor. I love this super romantic piece from Kate Carrigan, that I would swoon just looking at anyway, but knowing this came from my Valentine, and remembering our romantic, love-filled Valentine’s Evening we had together, would have me all smiles and in love every time I looked at it! You can also buy all art work and photography from art.com framed, or on a canvas, so its all ready to go for your Valentine this V-day! 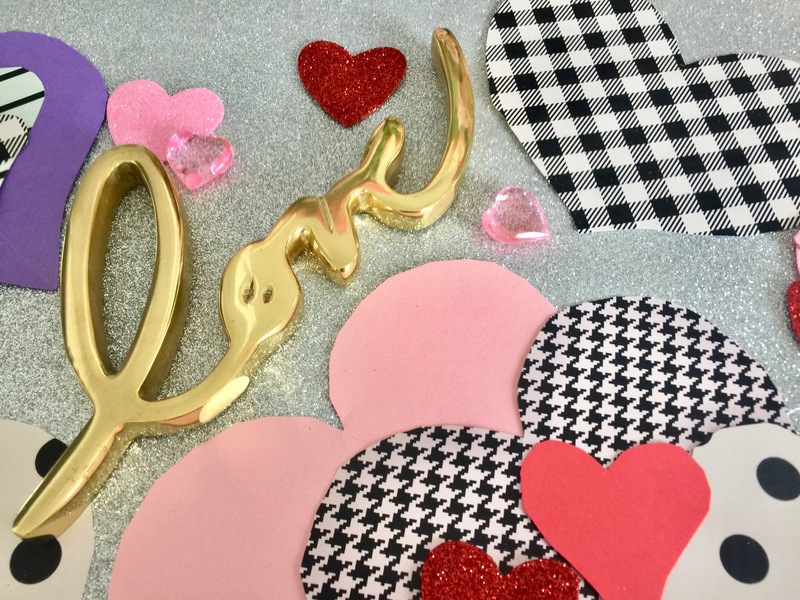 Hopefully these 4 gift ideas will help you surprise your Valentine this year with something totally unexpected and out of the box, that will make her smile and feel the love I know you so badly want to show her! Looking for a great way to get your product promoted and on the minds of shoppers this Valentine’s Day? 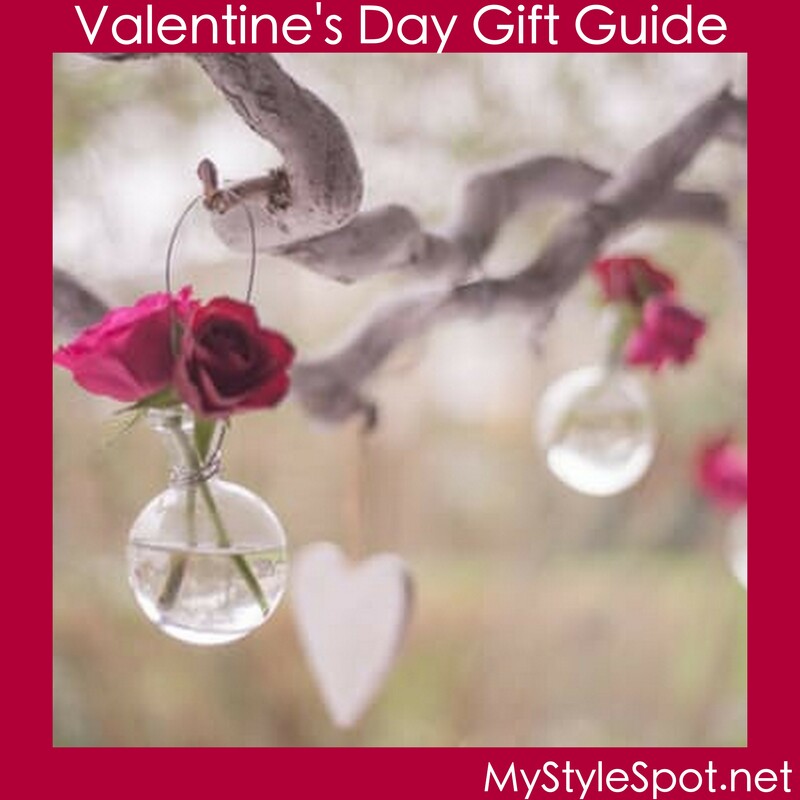 MyStyleSpot is now accepting submissions for the 2017 Valentine’s Day Holiday Gift Guide! Products are now being accepted with $45 submission fee, for a spot on The MyStyleSpot Valentine’s Day Gift Guide! All submissions should be received by Feb 5. The Gift Guide is shared to a subscriber following of over 44,000 followers, and social media following of over 55,000 followers! *Upgrade your submission for $200, and get a separate blog post review! *There will also be a GIVEAWAY included in the gift guide (For US entrants Only.) Please let me know if you would like to include an item for the giveaway. *Please note, sponsors are responsible for shipping prize to the winner. Gift guides are posted and sent out in an email blast the first week of February! Gifts for the Single Lady – Treat Yourself this Valentine’s Day! Beauty products – skincare, cosmetics, bath and body, hair care. *Gifts in all different price ranges are accepted.